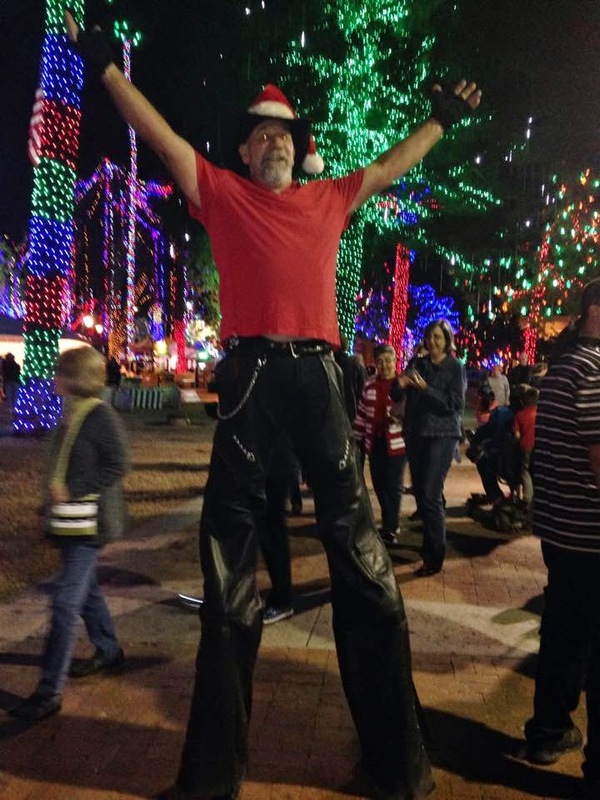 "RIM" (Rhythm In Motion - aka Rick Daly) welcomes you to his Dancing Across America site. Explore. Scroll through photos. Watch video. Be entertained. Enjoy. And share with your friends! Friday December 5, 2014 was Rick's 61st birthday... and what a day it was! 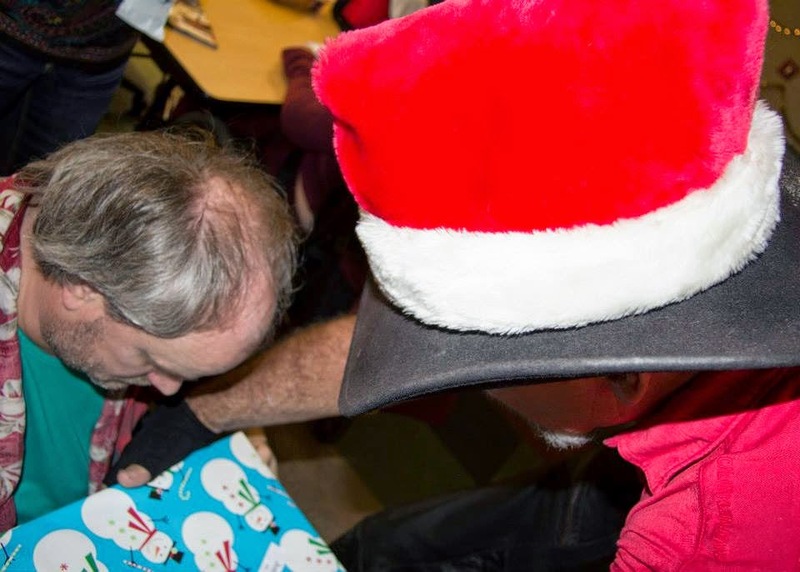 It started out at The Centers for Habilitation, where he strapped his legs on so he could be a "giant elf" and help Santa hand out gifts to the clients. Click on the photo below to go to the album from that great morning. This was THE BEST way in the world for Rick to spend his birthday! Check it out... and a big thank you goes out to Justin for taking the photos, and to Justin and TCH for giving us permission to share them here! Of all the photos that were taken that day, this one is my favorite because - even though it may be difficult to tell what's going on just by looking at it - I was there, and I know that this photo is ALIVE with the love that my husband has for these amazing, special people. That was how his birthday began... with him absolutely in Heaven, doing what he loves the most! And then that evening we headed to Glendale and his legs grew again so he could go out and play at the "Glendale Glitters" opening night. Here are a few snapshots and a brief video from that night. Finally! I'm sitting down today to get this site updated for Rick... We're back in Phoenix, he's got events coming up, and I want to get at least SOME photos to display throughout these pages. It's going to be a fun and productive Sunday! In the meantime, here's a good one to start with! 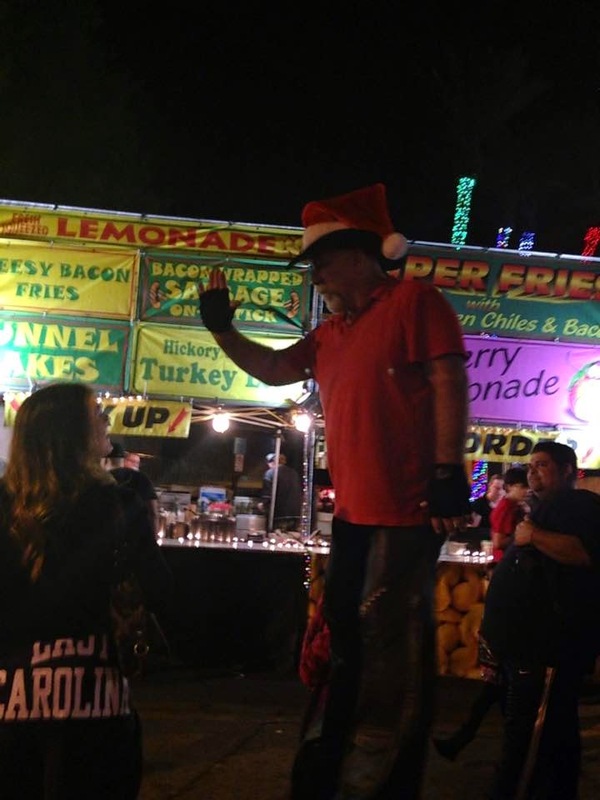 This is from Kiwanis Kids Day at the AZ State Fair, which is Rick's all time favorite event! The look on this young lady's face is a reflection of the joy that my husband feels whenever he receives the privilege of interacting with these amazing people. This IS his passion! And a brief video clip of that same event... Just joyful fun. Okay... this site is not cooperating with me in uploading the content that we want to have available here for you. So.... while I log off and go take a hundred or so deep breaths, please visit Rick's Facebook page to see what's up with him. Thank you! And his YouTube page, too. LOL - Time to go breathe now. Have an awesome day if you choose to! We have no idea when we'll go back out again, or what that will look like. For now, we've just arrived back in Arizona and it's just plain good to be warm again! Rick will be doing events locally, and we'll update his Dancing Across America Facebook page, which you can visit right here. Life us supposed to be FUN! Yep. People come here to have some FUN! 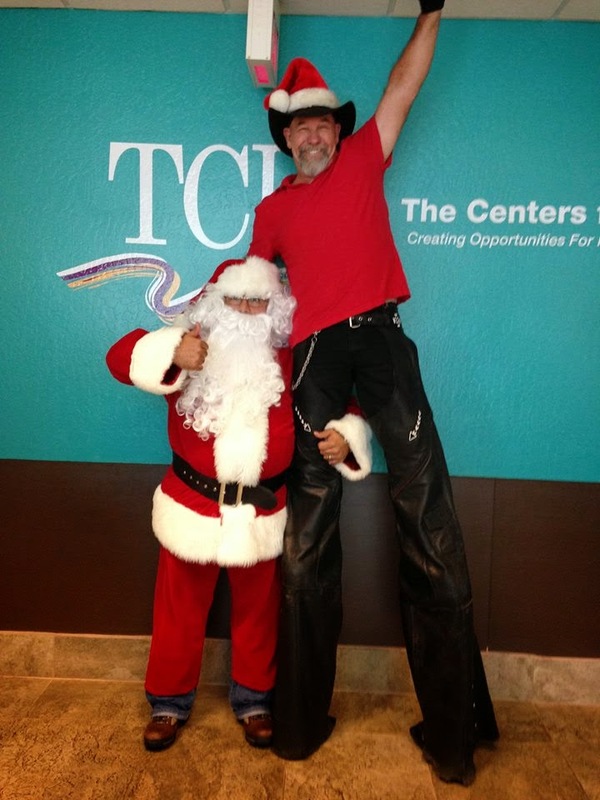 Rick Daly has come to be known as a "Stilt Entertainer Extraordinaire" and this site has been put together to share WHY he has earned that title. As you explore, you will also come to know that his tag line - "Spreadin' a smile is just my style!" - IS the absolute truth! Reverend Sandra Anne Daly. Picture Window theme. Powered by Blogger.